Diners take note: If you’re eating at a restaurant that’s playing loud music, you may be more prone to making unhealthy food choices. That’s according to the results of a recent study, which found that the ambient music volume at restaurants can mean the difference between ordering a cheeseburger or a salad. In the study, which was published recently in the Journal of the Academy of Marketing Sciences, researchers from the University of South Florida, Linnaeus University in Sweden and Louisiana State University showed that low-volume ambient music led to increased sales of healthy foods like salads. By contrast, when they dialed up the volume, 20 percent more patrons ordered something greasy, fattening, sugary and unhealthy. The reasoning? Softer music has a calming effect making us more mindful of what we order, which typically results in healthier choices. 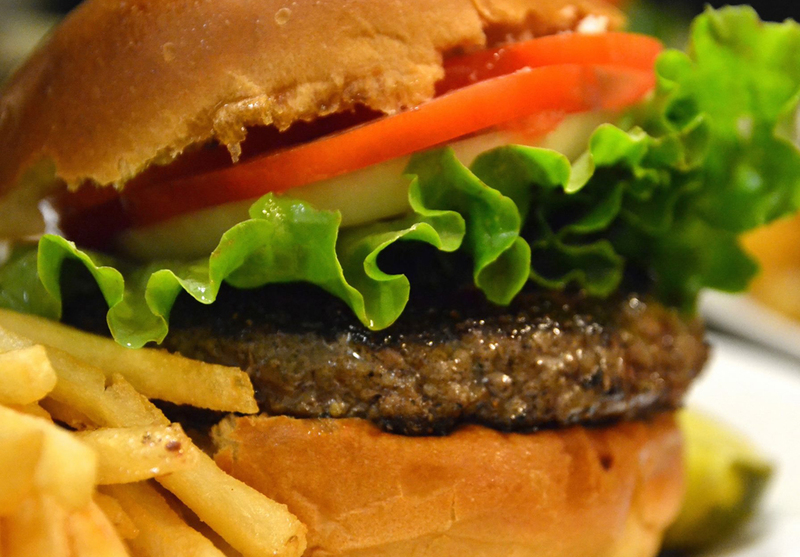 Environments with louder music and noise, however, increase stimulation and stress, driving diners to crave comfort foods like a greasy burger and fries. For the study, researchers played various genres of music at 55 decibels and 70 Db at a café in Stockholm, Sweden, and noted the diners’ food choices. Foods were categorized as healthy, non-healthy and neutral. The experiment was conducted over several hours for several days. Given that the study was published in a marketing journal, authors note that the findings could help restaurant managers to “strategically” manipulate music volume to influence sales. “Restaurants and supermarkets can use ambient music strategically to influence consumer buying behavior,” said author Dipayan Biswas of the University of South Florida in a statement. For the consumer, however, the findings could serve as a cautionary tale to be mindful of how loud music can affect their food choice. Or, perhaps, motivate diners to ask that the volume be turned down.